Alyson M. Hood is a partner in The Bloomston Firm in Birmingham, Alabama. She concentrates her practice in the areas of federal and state civil litigation including constitutional law, civil rights, employment practice, sexual harassment, contract disputes, and divorce. Alyson graduated from Birmingham- Southern College with a B.A. degree in Political Science and a concentration in Pre-Law in 2008 before she attended Samford University Cumberland School of Law and received her J.D. in 2011. She co-authored the Alabama Drug Offender Accountability Act Manual and the Alabama Risk/Needs Protocol while working at the Alabama Supreme Court. Alyson has spoken on the areas of constitutional rights violations, sexual harassment, hostile work environment, common law marriage, and the use of private investigators in domestic relations litigation. 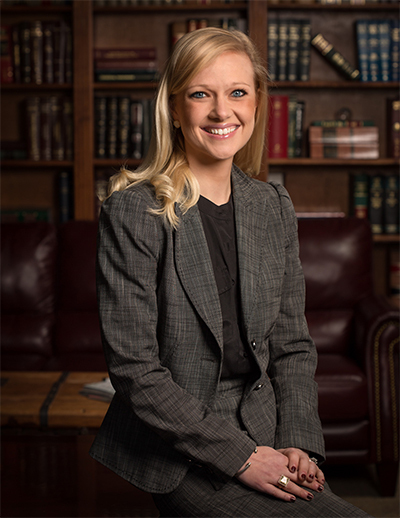 Alyson currently serves on the Alabama Women’s Section Executive Committee, Birmingham Bar Scholarship Committee and Co-Chair for the Alabama Family Law Section. She is also a member of the Birmingham Young Lawyer’s Section and Birmingham Inns of Court.